ELFQUEST Readers Collection vol 8 "Kings of the Broken Wheel" NEW, SIGNED! 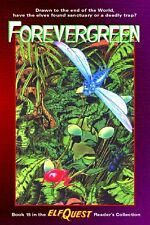 ELFQUEST Readers Collection vol 15 "Forevergreen!" NEW, SIGNED! ELFQUEST Readers Collection vol 16 "WaveDancers" NEW, SIGNED! 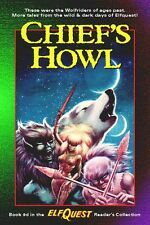 ELFQUEST Readers Collection vol 9d "Chief's Howl" NEW, SIGNED! 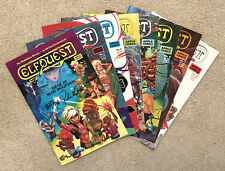 ELFQUEST FINAL QUEST complete set of 4 (SC) - Dark Horse - NEW, SIGNED! ELFQUEST FINAL QUEST volume 2 (SC) - Dark Horse - NEW, SIGNED! 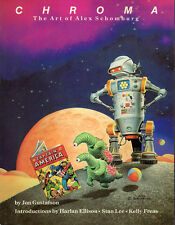 CHROMA - Art of Alex Schomburg, uncommon, NEW softcover, SIGNED! 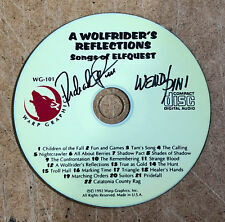 ELFQUEST Readers Collection vol 9a "Wolfrider" NEW, SIGNED! ELFQUEST FINAL QUEST volume 3 (SC) - Dark Horse - NEW, SIGNED! ELFQUEST "New Blood" Collection - hardcover - NEW, SIGNED! 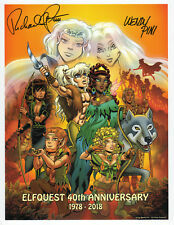 ELFQUEST FINAL QUEST volume 4 (SC) - Dark Horse - NEW, SIGNED! ELFQUEST Readers Collection vol 9b "Blood of Ten Chiefs" NEW, SIGNED! ELFQUEST Readers Collection vol 8a "Dreamtime" NEW, SIGNED! COMPLETE ELFQUEST volume 1 - Dark Horse - NEW, SIGNED! ELFQUEST FINAL QUEST volume 1 SC - Dark Horse - NEW, SIGNED! 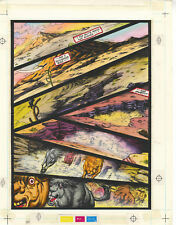 ELFQUEST "The ART of the STORY" HC/case Wendy Pini art - limited! 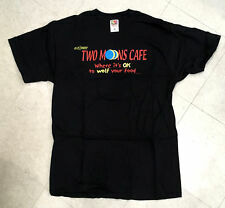 SIGNED 2x! ELFQUEST Readers Collection vol 5 "Siege at Blue Mountain" NEW, SIGNED! COMPLETE ELFQUEST volume 3 - Dark Horse - NEW, SIGNED! This page was last updated: Apr-20 22:15. Number of bids and bid amounts may be slightly out of date. See each listing for international shipping options and costs.